Concrete walls are gaining in popularity and are a stunning addition to any home or commercial property or venue. Polished concrete walls are watertight so free of fungi, limescale and mould, making them perfect for toilets, bathrooms, kitchens and environments of heavy-duty use such as hotels, offices or hospitality venues. For a continuous, innovate and smooth surface we use Ideal Work Microtopping® and Pandomo Loft from Ardex. These Microtopping create a minimalist modern feature in any home on contract, commercial space. 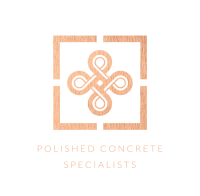 Polished Concrete Specialists are fully trained to the highest industry standards and work with some of the UK’s top brands. We hold full public liability insurance and guarantee our work within specific project parameters. Covering walls with our polished concrete micro toppings are a great alternative to tiles, wallpaper or paint. Our wall coverings are made from Ideal Work Microtopping or Pandomo Loft resin which are designed specially for highly frequented areas such as public and commercial buildings. We apply and screed the surface of the walls and create a concrete like skin which is hard, durable and resistant. I could not be happier with the standard of work provided by the Polished Concrete Specialists when we worked with them on the Hoxton Hotel, Shoreditch London. Work was completed to a high standard. The team were flexible in meeting the needs of an ever changing (and very tight) programme with no complaints. I was particularly impressed with the level of support provided pre and post contract.